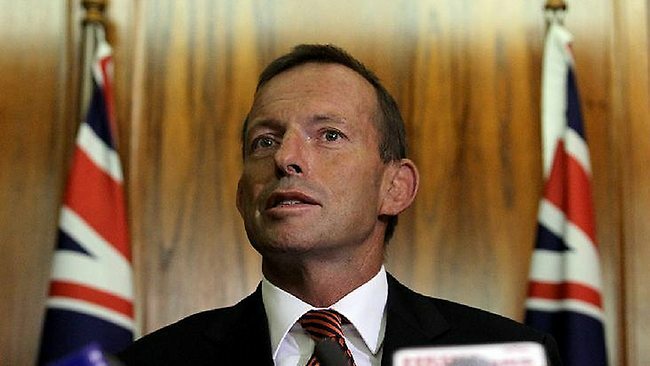 TONY Abbott has again overtaken Julia Gillard as preferred prime minister as the Coalition continues to dominate a federal Labor Party distracted by leadership divisions. Voter satisfaction with the Opposition Leader has risen in the past two weeks, with Mr Abbott's personal position the best it has been since October. The Prime Minister's standing has sunk to its lowest level since November - before the positive impact for the Gillard government of the visits of the Queen and US President Barack Obama. The combination of Mr Abbott's rise, Ms Gillard's loss of the lead as preferred prime minister and the Labor Party's continued low primary vote will spur those arguing that Labor needs a change of leadership. According to the Newspoll survey, taken exclusively for The Australian last weekend, Labor's primary vote went from 30 per cent to 32 per cent and the Coalition's from 45 per cent to 46 per cent after changes in support for the Greens and other parties. Based on preference flows at the August 2010 election, the Coalition now holds a 10-point two-party preferred lead over the ALP of 55 per cent to 45 per cent. The Coalition is sitting on its best primary vote and two-party preferred vote since November. Labor's primary vote - its best since November - and two-party support remain at levels that would mean an electoral rout if an election were held now.